I love cooking for folks about as much as I love to sing. Nothing warms my heart as much as being with family and friends around a table sharing a meal. In my opinion, getting the whole gang in the kitchen together to cook is about as much fun as you can have. In these pages I’ve gathered heirloom family recipes, updates on Southern classics, some Little Big Town favorites and quick dinners for modern familes on the go. Let’s sit a spell and enjoy a good visit in the kitchen! 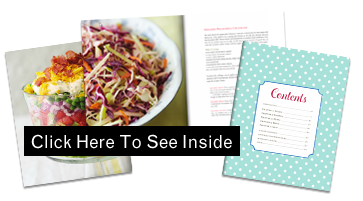 "There are many such easy and delicious recipes in Oh Gussie!. 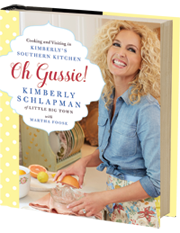 Some of the most delicious are ‘Roasted figs with cheese and vanilla honey’ and ‘Down-home Rockefeller baked oysters with Creamed Turnip Greens.’"
"The book is about food on the surface, but it truly dives deep into Kimberly’s life and includes special photos celebrating her love for food, friends, family, and music."